Country, Americana and melancholy baritone singer-songwriters loom large in my Top Ten albums of 2013. 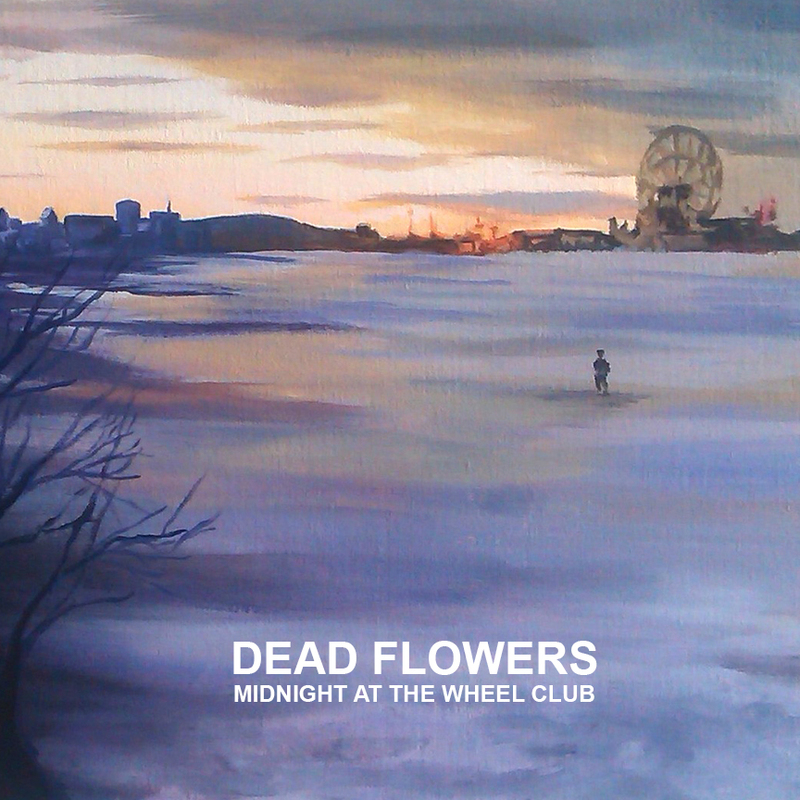 The album of the year accolade goes to London-based alt.country act Dead Flowers, for their astonishing debut record Midnight At The Wheel Club. Recorded late at night, in wintry conditions, it’s a collection of dark, intimate, haunting and confessional songs, inspired by gravel-voiced singer/songwriter Ian Williams’ travels through New York and Montreal. 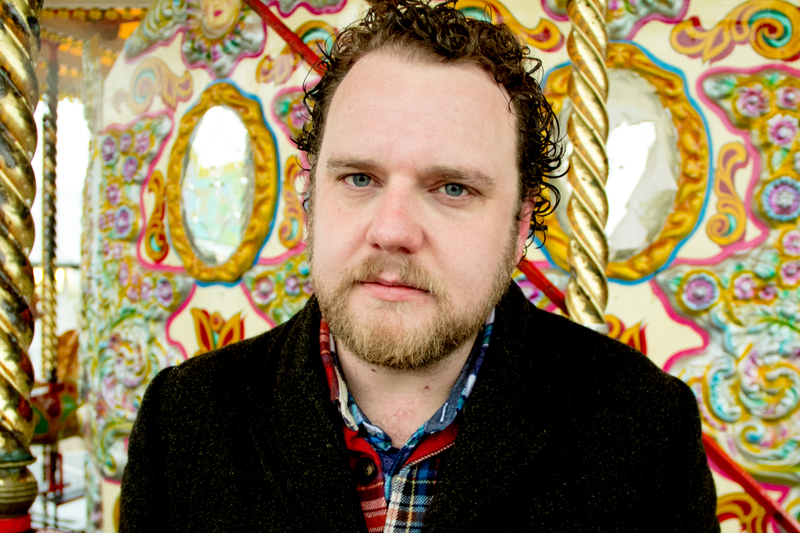 Dead Flowers have been compared to Leonard Cohen, Tom Waits, Mark Lanegan, Lee Hazlewood and Lambchop. 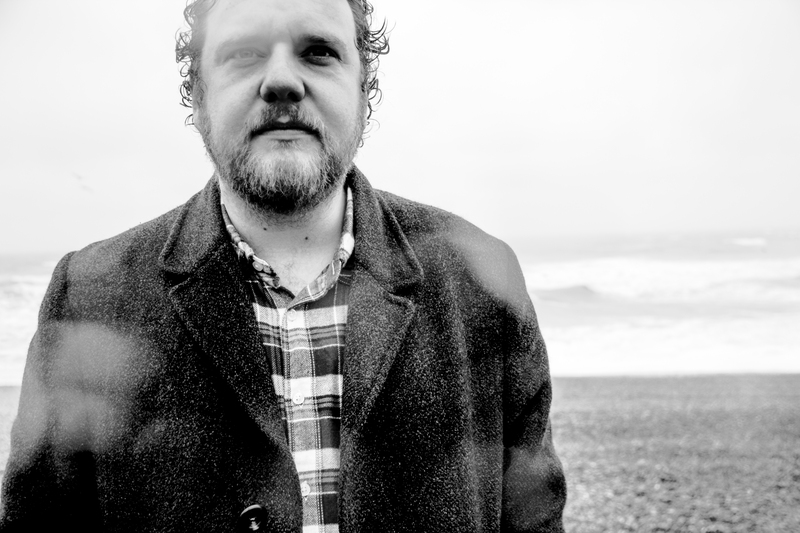 When I interviewed Ian earlier this year, he described the album as, ‘like a morbid, little dinner party – if you mess with the seating plan, it will all fall apart’. Special mentions must also go to country duo My Darling Clementine for their superb second album The Reconciliation?, which saw them adding Southern soul and El Mariachi influences to their sound; Manchester’s Nev Cottee for his debut album Stations (think Lee Hazlewood fronting Spiritualized) ; Richard Warren for Rich Black Earth – raw blues, country and eerie, echo-laden ’50s twangy guitar – and Nick Piunti for his sublime 13 In My Head – an instant power pop classic that’s high on harmonies, hooks and killer choruses. Here’s the list of my favourite 30 albums of 2013 and a Spotify playlist to go with it. 3) My Darling Clementine – The Reconciliation? Let’s talk about your new EP – Cold Wars: Pt 1. Can you tell me about the background to it? Why the Cold War theme? What drew you to that subject matter? 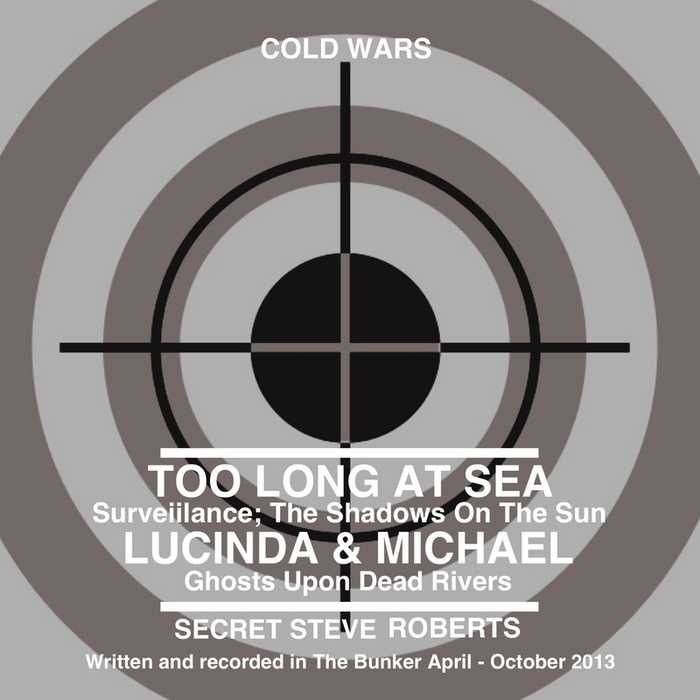 Steve Roberts: I’ve always been intrigued by the Cold War. I was a strange kid, obsessing about such things. The idea of patriotism and nationalism meaning more than love or friendship, or even ‘the truth’, is something I don’t understand. This led me to writing character songs that dealt with a dilemma – betray your country, or betray the person you love. I’d also have to say “cheeky bastards” to anyone in authority who feels they deserve respect because they have power over you. The Soviets and, in particular the East German governments, were madly into the power of authority. So, did you consciously set out to make a concept EP about the Cold War, or did you have a bunch of songs that all shared the same theme? SR: I set out to make a concept album, but I became impatient at the amount of time it was taking. I’m no longer a full-time musician, so I decided to do it in two parts. My first thoughts were to do a protest album, but there have been some great ones recently – in particular Quiet Loner’s Greedy Magicians – so I decided instead to take a different look at how we are betrayed by our governments, who expect us to put our lives on the line at their say so. The Snowden revelations merely confirmed my view of our so-called democracies. I’m no fan of Stalinism, but it kind of kept the West relatively honest with its own citizens – that’s changing big style at the moment. Your EP is very timely, as the BBC recently showed a TV series about the Cold War (Strange Days: Cold War Britain). Did you see it? What did you think of it? SR: Yes – it spooked me out at first. Are ‘they’ inside my head? I’ve been disappointed by some shows – in particular the Strange Days series. I thought the presenter was an oaf and I believe they missed out on giving us a really fascinating insight into one of the craziest eras in the history of our mad world. I’m a massive fan of John Le Carré and I loved the interview he gave. Of course, having the original George Smiley back on the telly was an absolute joy. Tinker Tailor Soldier Spy is one of my favourite books and I loved the TV series. Give me Smiley over Bond. On Netflix I’ve been re-watching the Michael Caine Harry Palmer films and also Sean Connery in The Russia House. I also love that German film The Lives of Others. I played in old East Germany a few years ago and parts of it were strange – familiar, but bent out of shape. Let’s talk about the songs on the EP, the songwriting process and the sounds… You started writing these songs in April of this year, on piano, didn’t you? How do you find it writing on piano, rather than guitar? SR: For more than two years I’ve suffered from frozen shoulders – first the right one, then, as that one got better, the left one decided to get in on the act, but it was even more painful. I had therapy, but it became impossible to play the guitar for a few months – it was really depressing. We’d bought an old piano and I found my shoulder didn’t hurt too much when I was messing about on it. I got a chord book and started plonking away. What I’ve enjoyed is using different bass notes to the chord you’re playing – that’s probably the main way I got simple chords to sound a bit different. I haven’t written a song on guitar in ages, but I do play it now, now that my shoulders are about 90 per cent recovered. 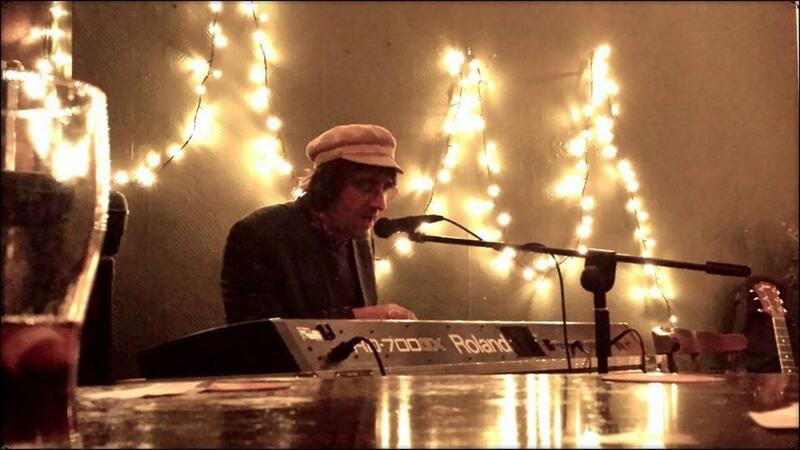 What I’d really love to do is write songs on the piano like Randy Newman or Tom Waits, but that might be beyond me. I’m up for the challenge, though. SR: Thank you. My first thing was to try and tone down the melodic content a bit – I tend to get a bit Rutles at times and go for the sing-a-long chorus. I’m envious of people who write melodies that weave into you, rather than just swat you on the back of the neck. I have a friend, Brian Chin, who lives in Brighton and he is the only person I’ve ever properly co-written with. I wanted to get him involved, as he is a fantastic musician and he will tell me if I’m being a bit cheesy – or not cheesy enough… Unfortunately, his timetable and mine weren’t compatible, but I tried to keep him in mind when I was editing myself. Many of the songs started with a load of phrases I’d write down and Cold War trigger words like ‘faded giants’, ‘hawks’ and all that. I was thinking in terms of it being a book or a film – a story of two people who love each other, but circumstances force them to make difficult choices. I’d then bash away on the piano until I found something I liked. I’d record the piano on to my iPad to a metronome, and then transfer it to my computer and start building things up around it. Some of the tracks have synth-like effects on them. What was your aim or inspiration for the sound of the EP? The track Lucinda and Michael is your first instrumental. It’s a very haunting and cinematic piece. It reminded me of Bowie circa Low – very European/minimalist/Eno-esque. Would you ever consider composing a film soundtrack? SR: I’ve always wanted to write an instrumental, but I never felt capable. But, because, in my head, these collections of songs were cinematic, I decided to have a go and on the first attempt I came up with Lucinda and Michael. It was brilliant that it just appeared. I’d love to do more. You’re planning a second Cold Wars EP, aren’t you? When can we expect that to be released? SR: I’m hoping it will be ready in the spring, I’ve written some of the songs, started a bit of recording and have ideas for others. I just hope they’ll come out well. 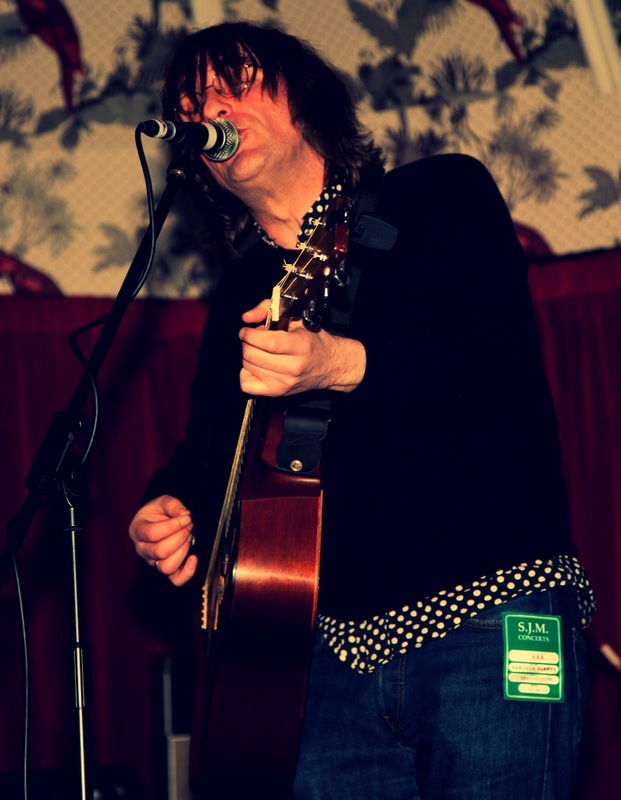 I’m an instinctive musician, rather than a good one, and I tend to do bits and stick them all together. I’d love to play finger pick guitar and piano beautifully but, alas, I just tend to hit my instruments. I think the next one will have a ‘brighter’ sound, but I’m not sure what I mean by that. You were in Liverpool band 16 Tambourines, who enjoyed some success in the late ’80s/early ’90s. Looking back on those days, do you still have some good memories? What was it like at the time? How do you feel about it now? SR: I had a mixed time of it. We were a good little band and great things were expected of us. The NME were convinced we were chart-bound, but we were engulfed by the Madchester tide and were therefore cast aside, really. It was weird, because although it was great to be in ace studios and to be able to buy a new shirt, the record company seemed not to want you to be who it was that they’d signed. They would remix songs and book you gigs that didn’t make any sense and all that… Still, I have some wonderful memories of things I’d have never experienced if I’d just worked in an office. We had some brilliant gigs in Scotland that are burned into my memory. Being dropped was awful. I ended up on the dole, I lost my house and I was depressed for about 10 years…. But I think it was better to have done it than not, but who knows? You took a break from music for a while, didn’t you? How does it feel to be back, writing and recording? SR: I started playing with a band again a couple of years ago. It was going ok, but with my shoulder problems and the trouble you have running a band when everyone has kids and other responsibilities, it was difficult. Deciding just to write songs and worry about it all later was the best thing I could have done for my sanity. I record when I can and how I can and I love it. Now I know it’s only me who I can blame and I’m used to that! But I do miss playing with others and hopefully I’ll do that again. So, what’s next for Steve Roberts? SR: Part two of the Cold Wars EP is my immediate priority, but it’s also possible I’ll be re-recording lots of the 52 ‘song-a-week’ tracks, as they’ve never really been finished. I want to make more of them than I did. I’d like to play live more often and I’m trying to develop a solo ‘show’ of sorts, so it’s not just me playing a guitar in an average fashion. I’m not a good traveller, though, so maybe I’ll just do it from my front room and beam it to 25 people via the Internet.